The Russian military has questioned the swift conclusion of chemical weapons watchdog the OPCW, which has reported identifying sarin in samples related to an alleged attack in Syria on April 5. The Executive Council of the Organization for the Prohibition of Chemical Weapons (OPCW) convened in the Hague on Wednesday for an update on the investigation into the reported chemical weapons attack in the town of Khan Shaykhun. Director-General Ahmet Üzümcü told members that four OPCW designated laboratories have studied samples collected from three victims of the alleged attack during their autopsy and seven individuals undergoing treatment after surviving the incident. He said analysis of all samples indicated exposure to sarin or a sarin-like substance. “While further details of the laboratory analyses will follow, the analytical results already obtained are incontrovertible,” the official said. The OPCW statement didn’t explain how exactly the samples were collected. The inspectors have yet to visit Khan Shaykhun, which would allow the collection of samples on the ground to confirm contamination from a chemical agent. The site is located in a rebel-controlled territory in the Idlib province. Üzümcü said such a visit would depend on the security situation and cited an attack on an OPCW fact-finding mission in May 2014. 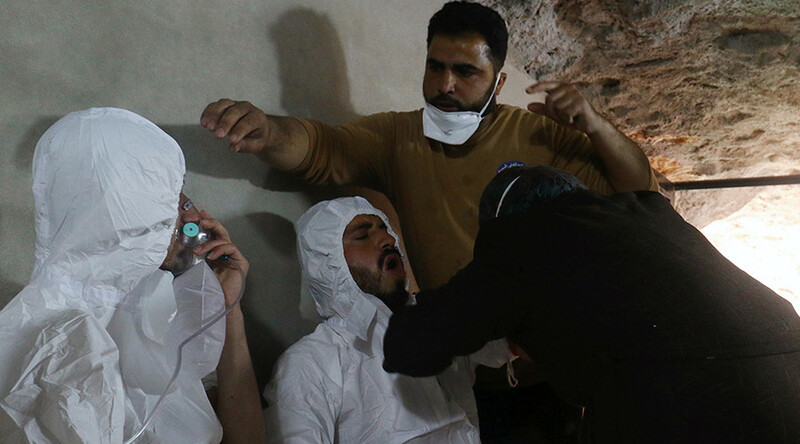 The Russian military, however, questioned the swift analysis of the samples, saying the OPCW did not act with such speed in another incident in which a militant group reportedly used mustard gas in Aleppo. 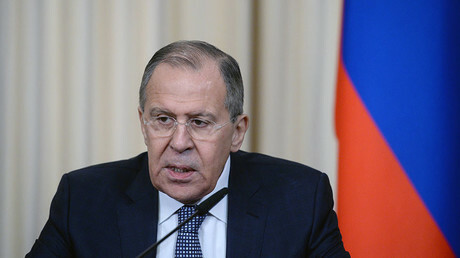 “Four months later the OPCW still cannot come to a conclusion and call the mustard gas found there mustard gas, saying additional analysis is necessary,” he remarked. The Russian military said it wanted details on who collected the samples and how they were studied at OPCW designated labs, and why the analysis in this case was completed in a much shorter space of time. He added that if the OPCW states that sarin gas had been used in the incident, it would find it difficult to explain how White Helmet first responders survived exposure to the agent. 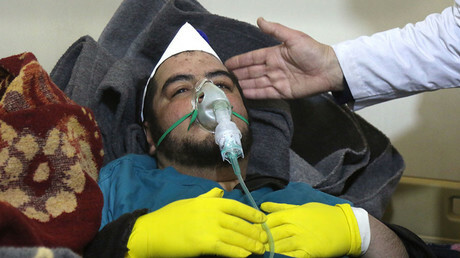 Footage taken at the scene in the aftermath of the alleged attack showed people from the controversial rescue group helping the victims while wearing no protective gear rated for handling sarin. The OPCW is expected to provide a preliminary report on the incident within two weeks. On Wednesday, the OPCW voted against the amended proposal by Russia and Iran on changing the mechanism of investigating the Khan Shaykhun chemical attack, the UK delegation to the organization tweeted. “The OPCW Executive Council has overwhelmingly rejected the Russian and Iranian decision which attempted to undercut the FFM (fact-finding mission),” the tweet read. According to Canada’s representative, Tim Edwards, the Russian-Iranian initiative was supported by six members, with 21 “no” votes and 13 nations abstaining. In the amended proposal, Moscow and Tehran agreed with Western demands for the investigation of the alleged attack to be carried out by the existing OPCW fact-finding mission. However, they insisted that the mandate of investigators be realized in full, instead of selectively approached, as in the recent period. The incident in Khan Shaykhun reportedly killed as many as 100 people and injured several hundred. The US squarely laid the blame on Damascus, claiming that it hid chemical weapons stockpiles from the OPCW after pledging to hand them over in 2013. Washington fired a barrage of cruise missiles at the Syrian airbase from which it claimed the chemical weapons attack was launched – a move that was hailed by Syria’s neighbor Israel. Europe backs the accusations against the Syrian government, even though no solid evidence has been made public. Russia has called for a thorough investigation of the incident, which would include an on-site inspection in the rebel-held territory, before coming to any conclusions. Moscow believes that the incident may have been a false flag operation meant to provoke a US attack against Damascus.